Oh how I love both the Dashing Deer and the Winter Woods Bundles. I've used elements from both on today's cards. Today's post is picture heavy, but I wanted to make sure you could appreciate these cards from all angles. 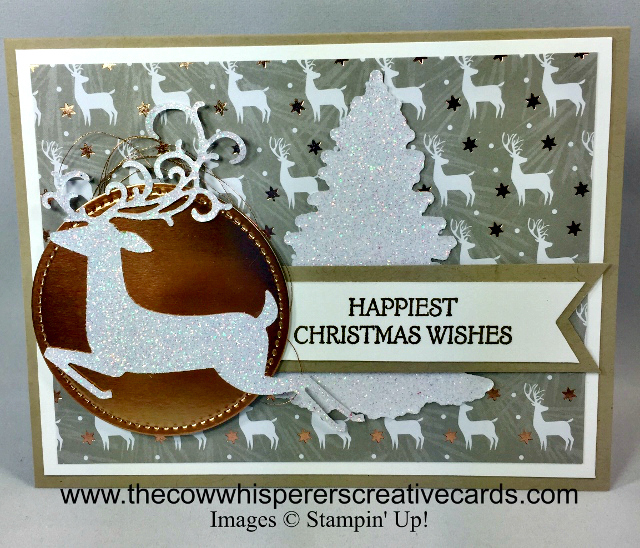 Shaded Spruce and the Under the Mistletoe Designer Series Paper were used on the top card and Crumb Cake and the Joyous Noel Specialty Designer Series Paper with Copper on the card I created in the video below. 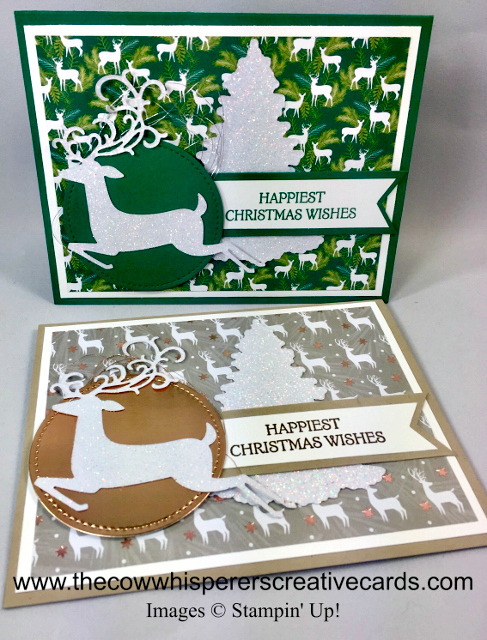 The jumping deer and the pine tree are both cut from the Sparkle Glimmer Paper which adds a beautiful and elegant sparkle to both cards. 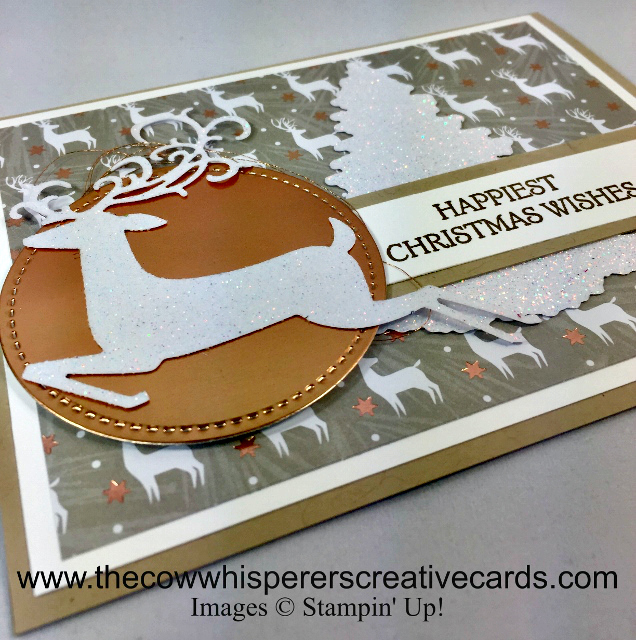 I went with the Shaded Spruce Cardstock for the Stitched Circle on the card above and my favorite Copper Foil for the one below. 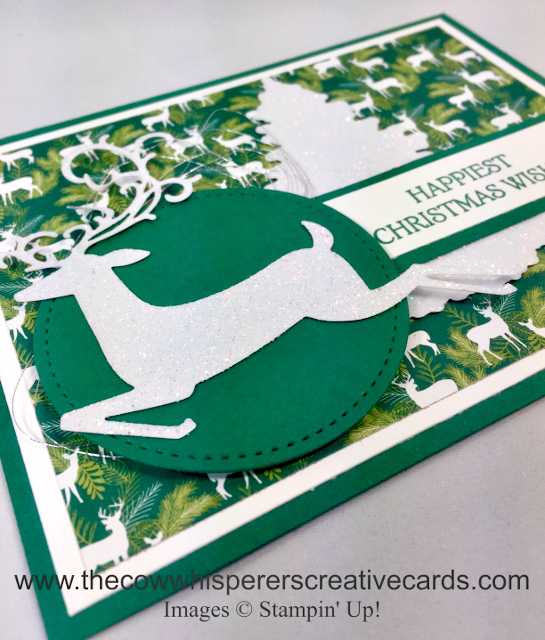 Keep on scrolling down to watch the how to video and learn how simple these cards are to create. 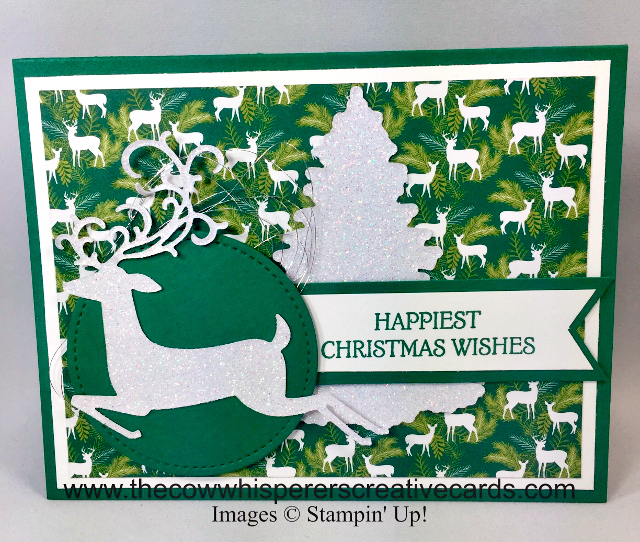 Card Base - Crumb Cake - 8 1/2 x 5 1/2 scored at 4 1/4"
First Layer - Whisper White - 5 1/4" x 4"
Second Layer - Joyous Noel Specialty Designer Series Paper - 5" x 3 3/4"
Copper Foil - 2 3/4" x 2 3/4"
Sparkle Glimmer Paper - 5" x 4"
Scrap Whisper White - 3/4" x 4 1/2"
Crumb Cake - 1" x 4 1/2"